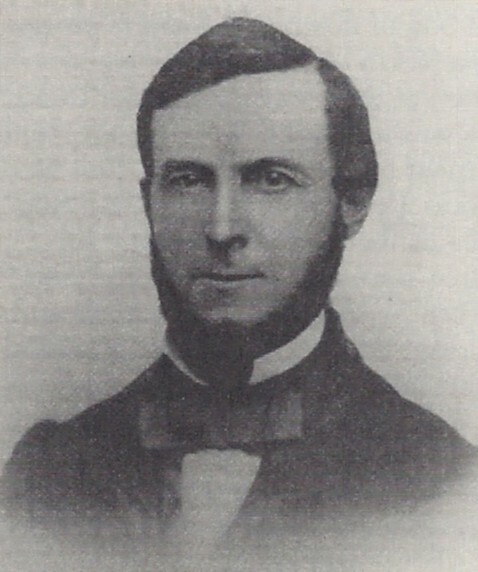 Most local residents are familiar with the Peirce Trust, the large fund of money which was bequeathed to the Town of Middleborough by Thomas Sproat Peirce (1823-1901) following his death on September 16, 1901. At the time, the bequest received widespread attention, largely due to the sum of money involved - $600,000 - or in today's value nearly $13 million. Newspapers throughout the region, including the august New York Times felt compelled to cover Peirce's death. Below is Peirce's obituary as it was carried in that newspaper. (The misspelling of the family's surname is retained as it appeared in the original article). Thomas S. Pierce, Son of Peter Hoar Pierce, Dies in Middleborough, Mass., Leaving $600,000 to the Town. MIDDLEBOROUGH, Mass., Sept. 26. - Thomas S. Pierce, who has just died and left this town $600,000 richer than it was, was the last of a remarkable family, which has for nearly half a century been the life of the town, although non of them ever held office or participated publicly in town affairs. In 1826, when Peter Hoar Pierce erected a store here larger than any this side of Boston, people shook their heads. But Mr. pierce asked no one's advice. He sold everything from cloth and butter to rum and molasses, and the whole Cape came to him to buy. Mr. Pierce raised eight sons and three daughters. All were extremely eccentric. He knew it, for when he was dying he whispered: "I leave behind me a fortune, equally divided among eleven very queer children." In this country town this man had amassed no less than a million dollars. Of the eleven children only three married, and none of these had issue. Each, as he died, left his original share, with its accumulations, to the others, so that when Thomas was left alone his wealth was enormous. Though his great white house across the road was well supplied with feather beds, he always slept in a little room back of the meal sacks in the store. "I will do so when I meet him. I deal with no middlemen." So much did he love nature that he bought all his firewood, though he owned hundreds of acres of woodlands. Passersby, late at night, occasionally heard coming from the store the notes of a flute. Old airs were played with a feeling and skill that always held the listener until the last note died away. Only when alone did he ever take this instrument from its case. So this strange man with the fortune of a King and a good education lived out his solitary life in this country grocery store. He was never melancholy and apparently happy, but whether he was in reality happy or not none will ever know. "Last of an Odd Family", The New York Times, September 27, 1901. Thomas S. Peirce, daguerreotype, mid-19th century. 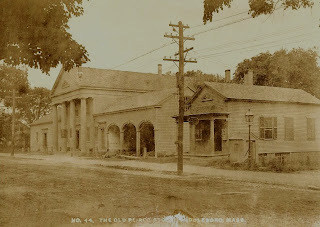 Peirce Store, North Main Street, Middleborough, MA, photograph, c. 1900.